Winds came into existence in 1998 when four Norwegian musicians from different backgrounds happened to cross musical paths. This was a result of previous work some of them had done with each other and through mutual acquaintances who lead them together. These individuals were already renowned within their specialties: Lars Eric Si as a vocalist with a truly unique voice, Carl August Tidemann as a neo-classical guitar virtuoso, Jan Axel von Blomberg as the most highly regarded metal drummer of our time, and Andy Winter as a classically inspired pianist. 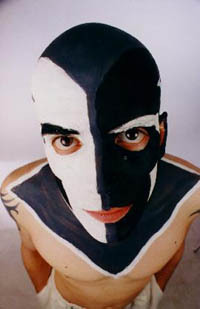 Looking back at the history of the band, as the first recording Of Entity and Mind was completed in 2000, Avantgarde Music made an offer to sign Winds for two records. This deal was inked without even presenting the music to any other labels. Of Entity and Mind was received with awe by the fans as they didn't anticipate Winds' uncompromising combination of classical, progressive and metal music with sounds and harmonies. It was unlike anything else done before. As Of Entity and Mind continued receiving positive feedback, the band had not been idle and was already far into the process of composing the follow-up, to be entitled Reflections of the I. After this record was completed, The End Records, who inquired about licensing the album for release in America, contacted the band. Avantgarde Music was consulted and accepted the offer. Reflections of the I was released in 2002 and hosted great reviews and critical acclaim, receiving top scores in virtually every significant publication related to their style of music. As before, the band was still on a creative rollercoaster and had almost completed ideas for all the tracks to a third album even before the previous was released. 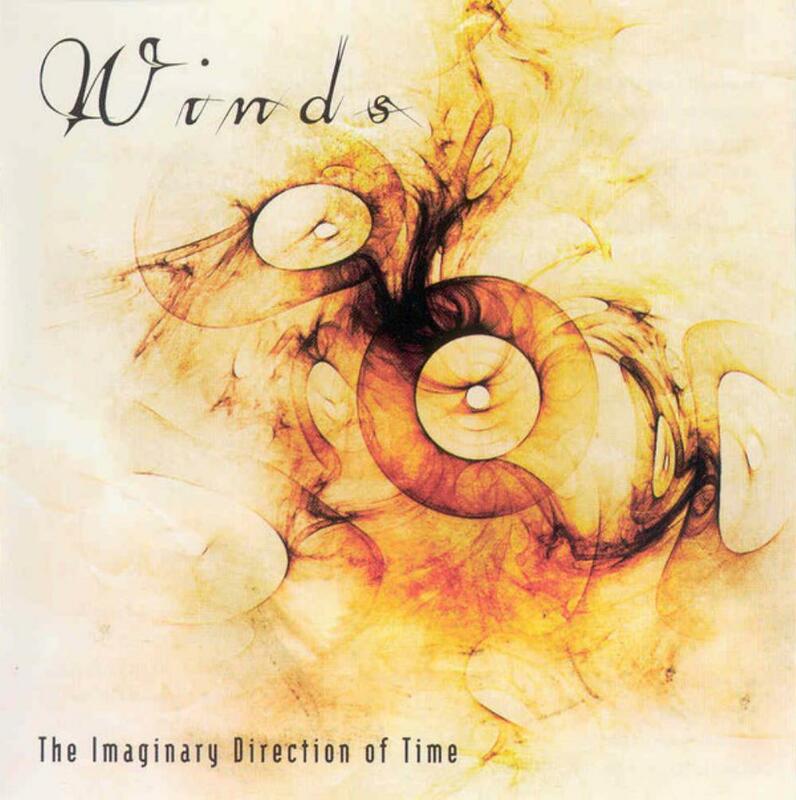 Having fulfilled their contract with Avantgarde Music, Winds was now free to accept offers from other labels. Once again, The End Records was quick to put an offer on the table, this time to take on the band worldwide. The band accepted the offer without hesitation, and although other labels had showed interest, the band signed once again to The End Records. After six months of being in and out of studios, the third album was finally completed. The third Winds effort was entitled The Imaginary Direction of Time. Following in the vein of the previous albums with philosophically charged lyrics, the new album took Winds to new heights both in the lyrical and musical field. It was without a doubt the band's most elegant album to date, and it also had a new and added dimension of intricacy because of the increased collective effort in the compositional process. The Imaginary Direction of Time was, as its predecessors, well received by both fans and press. Time went by once again, and the members of Winds had a well-earned break to pursue other bands and projects for a while. Even so, new compositions were already brewing, and it was only a matter of time before the band set out to record yet another album, to be their fourth. Being the bands most ambitious and extensive album so far in their career, the new album took three years to record. The band utilized all their talents and perseverance to bring their musical creativity to new heights, and for the first time ever, the band was also joined by several respected guests - Agnete M. Kirkevaag (Madder Mortem), Lars Nedland (Borknagar, Solefald), Dan Swanö (Edge of Sanity, Nightingale, ex. Bloodbath) and Øystein Moe (ex. Tritonus, Ulver) - who have each brought their own artistic touch to the album. The band yet again recorded with musicians from the Oslo Philharmonic Orchestra for this release. Prominence and Demise is easily the most complex recording experience of this established band's near 10 year long career. Winds has by now become a band known for their eloquent classical passages and virtuoso guitar work, yet the new album provides the listener with bolder arrangements, lengthier songs, more powerful vocals, and an edgier sound. 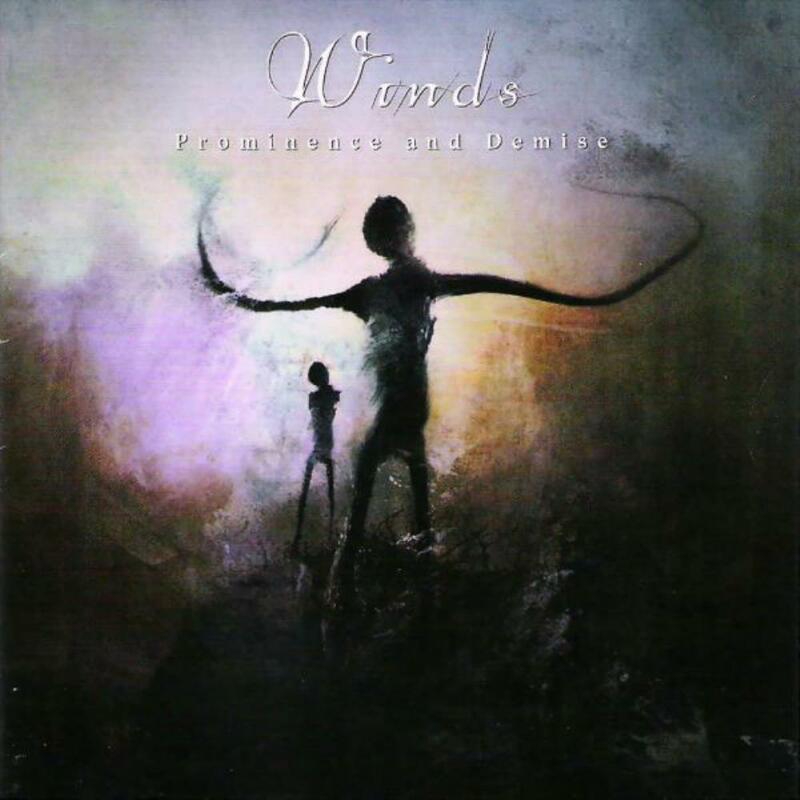 Winds is a fairly typical prog metal band that (at least on Prominence and Demise) incorporates heavy classical elements including piano and strings. Unlike many symphonic bands where the strings feel more like film accompaniment, the additional musicians sound truly classical, both in training and performance. The piano especially is featured and if anything were to separate Winds from the huge crowd it would be Andy Winter's piano. The core sound leans slightly more to the tech / extreme end of the spectrum rather than the keyboard / DT style. However, the band really doesn't fit into the post/experimental category at all. The closest band I know of is Leprous, who currently sit in Tech/Extreme but both seem like simple prog metal to me. Aside from the piano, probably the most signature part of the Winds sound is the vocal. Lars Erich Si sings cleanly in a straightforward baritone with the usual addition of harmonies. While his voice is not annoying like many high pitched screamers or atonal croakers, his tone lacks much nuance or true interest. Guest artists do provide a few harsh tones, but for the most part this is a melodic music. In this regard, there is some interest as Si does make some nice note choices that are more prog than metal. Lyrics are on the new age end of philosophical, typical for the prog fan but outside your standard fare. The guitars of Carl Tidemann are up to the usual level of prog metal virtuosity. There are plenty of arpeggios, fast lead lines, and grinding riffs. The tone is heavily distorted, though the lead tone is relatively smooth. The drums are similarly fast and precise, fine for metal, but not especially grooving. Songwriting also has a few prog twists that would have been eye popping in 1995, impressive in 2000, but by now are old hat. I'm always on the lookout for something fresh in the metal scene, and so when an unknown (to me) band pops up in the charts for exp/post I like to check it out. 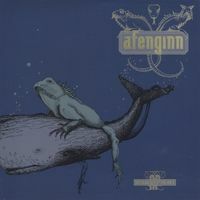 This album was a little disappointing as it was competent but typical prog metal. Enough to make the middle grade but certainly not a top contender. 2.5 star rounded up. I have a little knowledge of this band from Norway having heard many songs from their previous efforts. I will say right now that Prominence And Demise is heavier and perhaps even more intricate than their past efforts. I don't want to compare apples to oranges or go into depth, breaking each track down one by one, but this album definitely was worth the wait...all told I believe it was 3 years in the making. Please read on, I plan to keep this to the point and hopefully get some folks out there to take notice of these guys! One thing I recall from previous Winds' encounters is that while I thought they were very talented and could write a hell of a deep song, the overall sound that they portrayed was a little on the dull and moody side for me. Perhaps even a bit monotonous. Not here! There are pretty piano passages, for sure, some slower tempos and a mix of beautiful, moody and haunting melodies but when they decide to kick in the heavier guitars and double bass they really grab you by the jugular! Without going back and listening to their previous CDs I would have to say this release is definitely a little more up-tempo. Edgier, heavier and just more rocking! The one element that has not changed with Winds is the use of a harmonic vocal structure that is almost monotonic but yet retains a sense of melody. It's hard to describe but don't expect any shrieking or screaming or piercing vocals on a Winds CD, this one included. If there is one things about this band that maybe doesn't thrill me to death it would be the vocals?they are very different and anyone who has heard these guys before probably know what I am talking about. Winds has been around for close to a decade now. Band members can claim their roots from acts like Arcturus, Age Of Silence, Sculptured and Dimmu Borgir. Dan Swano of Nightingale lends a few, and I do mean few, "death" grunts to the album (not enough to put anyone off in my opinion) and there are a slew of other guest musicians from bands like Madder Mortem, Borknagar, Edge Of Sanity, Bloodbath, and Ulver to name a few. I've also discovered that there are contributions from musicians in the Oslo Philharmonic Orchestra. Time and money were apparently of no great concern to the guys when crafting this modern masterpiece. Musicianship is restaurant quality, grade "A", industrial strength. These guys know how to play their respective instruments and can weave them together in such a beautiful and powerful way. I've only listened to the entire CD from start to end once but I was floored. I have gone back and listened to several tracks again. Standouts include the first epic track "Universal Creation Array" and the emotional and stirring, yet very aggressive at times closing track "The Last Line". So....you like shredding arpeggios on the guitar? You like super-swift double bass drumming? Love an intricate and delicate piano? Want to hear cellos and violins? Pretty much anything a prog fan could want or wish for is delivered on this release. I normally don't like doing reviews because they are so subjective and feel like who the hell cares what I have to say. But I was so moved after hearing this CD that I had to just let everyone know that on September 4th this CD will be released and you should RUN to go get it. It's really that good. The only minor gripe that anyone could possibly find about the actual sound of this CD is that it could sound "bassier" or heavier...production-wise it sounds very close to their other releases. Perhaps it's intentional though...I'd like a little more "oomph" in the lower frequency range, but I am not here to compare Winds to Symphony X or a similar prog metal band that's more metal and in your face. The Winds' dudes vary their attack and it keeps this album very fresh and interesting. Since this album teeters on the border of progressive rock and progressive metal I have nothing to complain about as far as the engineering goes. Progressive rock usually tends to lay back on the "oomph" with heavy double bass and guitar riffing. 2007 is not over yet, but I think as of now I might place this CD in the top 10, perhaps even top 5 releases of the year. I'd have to go back and listen to all the various CDs I've accumulated since January 1st, but as of right now, this one is gonna get the hell played out of it in the near future! Did you ever wonder how Spiral Architect or Spastic Inc would sound if fused with more accessible melodies. Then look no further, Winds is here. First of all, the musicianship and progressivity is lifted to a new level on this record. Before this album I would never mention Winds in any relation to Spastic Inc or Spiral Architect. But on Prominence and Demise they sound like a fusion between these two previously mentioned bands and maybe Mundanus Imperium or even Ayreon. They are of course less melodic than Ayreon and less technical than Spiral Architect, but they definitely reside somewhere in between these. This should interest all fans of progressive music. It could maybe also be compared to Arcturus, without any extreme vocals. The interaction between the musicians is sublime. The drumming and bass sets up an extremely steady rhythm section. The guitar work is extraordinary, with some truly unique solo work. The synth/piano is sublime when it pops up arbitrarily on various tracks, and I also find the male vocals to be improving from previous albums. Everything is actually improved ten folds on this album as Winds true potential is finally shining through. The only negative aspect on this album is that the production is a bit below par. The bass is way too loud, making the guitar almost disappear in vital parts. (Ex: Intro on The Grand Design.) Still, with a weak production, I reward this album the highest score. Just because everything else is as good as could ever be expected. Such a development shall not go unrewarded by. Half a star reduction for the production. At least it leaves room for even more improvement on their next endeavor. This album is a Must Have. Brutal necro black metal- it's what drum god Hellhammer performed in his seminal eponymous act of the eighties. His work was hugely influential to much of the current crop of black and death metal groups and in recent years he has performed as a guest on countless albums and has been a member of several bands. His versatility is admirable, as evidenced in his role in the neoclassical prog metal band, Winds. It's a fair assumption that his involvement is what drew many people to the group, but this is a far cry from his extreme past and is more than worthy as a whole. Winds is one of the most faithful adherents to the spirit of true classical musical in the metal realm, along with acts such as Therion and Devil Doll. Their sinuous piano lines evoke great sonatas and nocturnes from composers like Chopin and Mozart, and their sense of layering and composition escapes many so-called neoclassical acts who are obsessed with indulgence. The Imaginary Direction of Time is an existential voyage to the purpose of life. It "lives the questions", as poet Rainer Maria Rilke would put it. The primary focus of the music is the piano and violin, even though guitar and drums are characteristically metal. The guitar melodies on this are swirling forces of nature, which aren't particularly heavy or amazing, but come across as impeccably clean and precise. Hellhammer's performances are a little subdued compared to what he usually does, but you can hear slight blastbeat patterns occasionally. Still, he offers great variety. Lars Eric Si an absolute gem of a vocalist. His voice is so unaffected and pure, and perfectly complements the sweet innocence of the string arrangements. On one occasion, however, he uses harsh vocals during a brief portion of "What is Beauty", but it doesn't take away from the experience at all. In fact, the hint of black metal darkness and desolation is intriguing. Also, this album has some of the best vocal harmonies since Alice in Chains, despite some of the 'gang' vocals sounding forced. The Imaginary Direction of Time can be likened to an astral merry-go-round of progressive metal, but its intent is not really to shake things up. It's kind of a rhetorical album that's full of exquisite beauty, yet it's too shadowy and timid to be considered a classic. I would actually welcome more bands like this, though, and their music is a great backdrop for studious moments and contemplation. Winds debut EP Of Entiy And Mind is a mix of various metal genres and prog rock. It´s an ok classical inspired prog metal album, but I don´t fall on my tail because of the big names in the band with this release. It´s good but nothing more. The music is centered around the classical piano from Andy Winter and the beautful voice of Lars Eric Si. The music is pretty much progressive metal while I think the vocals from Lars Eric Si fits more in the progressive rock genre. The music and the vocals fit well together though. What I think is very interesting here is that Hellhammer is the drummer. The drummer from the infamous Norwegian black metal band Mayhem, playing prog metal with a very nice sounding clean singing Lars Eric Si ? Well it goes to show that the man has a very diverse musical taste and his drumming here is of course flawless as it is in any other band he has ever played in ( there are numerous). Personaly I think the music is a bit generic and especially the guitar riffs leave me a bit cold. The classical guitar soloing is a bit too Yngwie Malmsteen inspired for my taste on this release without reaching the excellence of Yngwie. 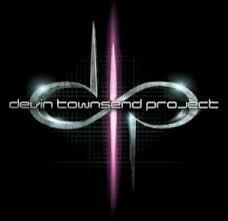 Well the music is not a show of project and every part of the music serves the whole. 3 stars is all I can give here as I think Winds still need something to give me a special experience. They are innovative though and deserves the good stamp. Norway is probably best known for its large constituent of black metal bands, but these days they seem to be pumping out lots of fantastic prog rock/metal bands. 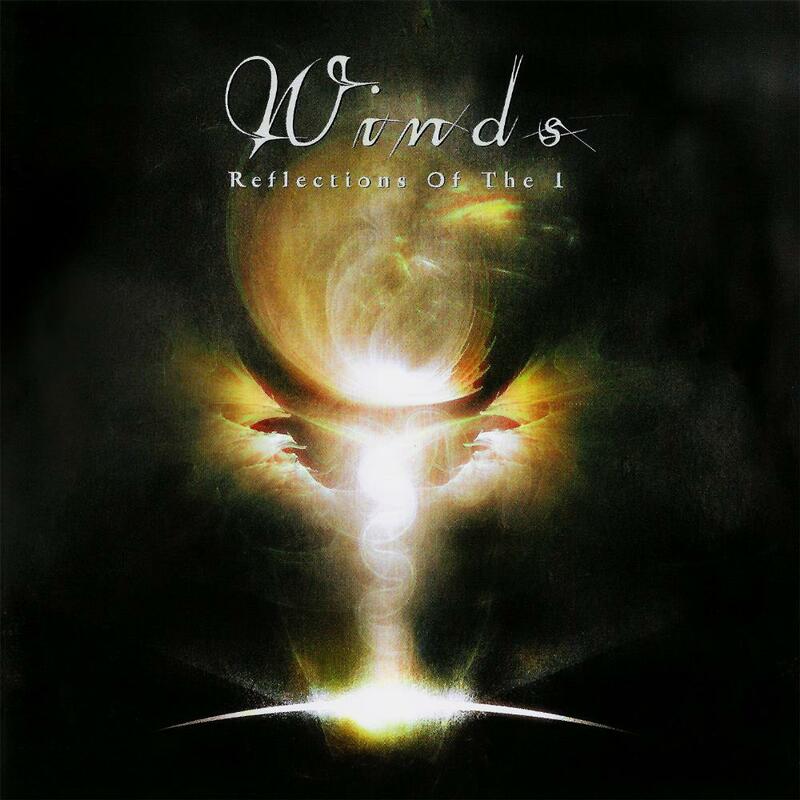 Winds contains members of various black/prog metal bands. The music is a mixture of metal and classical music in one great combination. The album features the terrific keyboard work of Andy Winter(Age of Silence), Carl August Tidemann's mesmerizing guitar work, a small orchestra of violin, viola, cello, bass, and the wonderful clean vocals of Lars Eric Si(Age of Silence, Honcho, khold). A beautiful album filled with a mixture of dark/light, symphonies and masterful guitar work. The fact that Hellhammer plays the drums on this album might give the false impression that this is extremely heavy stuff, but it isn't. This one is on the softer side of prog metal. The beautiful string quartet and the mellow piano sound make this album very atmospheric and easy for the ear. So if you like Pain of Salvation but Arcturus is just a bit too much for you, this is the album to get. The song durations are kept at 4-5 minutes throughout the album, and there isn't even one longer song. This proves out to be a good decision as the music doesn't have room for long technical solo parts because it focuses more on creating enjoyable soundscapes, it's not about showing off. There are guitar solos off course, but little shredding. Jan Axel von Blomberg (Hellhammer) shows why he is one of the greatest drummers of all time. He's very flexible and the double bass drumming is kept at a minimum. Winds came out of nowhere with this Ep in 2001. Seeing on the cover names such as Lars Eric Si or the virtuoso drummer Hellhammer (here with his real name, Jan Axel von Blomberg) one would expect a black metal fury or something like that. Here there is no fury beside that of feelings. Everything is warm and emotional. On songs such as In all reflections or An eternity of dreams one could only fall slave to the incredeible voice of Si, to the sounbd of the always-melodic guitar of Tidemann or to the incredible fantasy in the drumming of Hellhammer. Being a debut you could expect a little immaturity. What I think is that this band was born already old, in feelings and emotions, and this Ep is for me their best pubblication to this day. This is not music, this is emotion solidified in form of sounds to be assimilated and lived. Live it! I give this album 3 1/2 stars ... it's an excellent addition to any prog metal collection, but the average prog listener might consider this to be too heavy. I don't mean the level of distortion of the guitars, but the general approach to songwriting and song structure. It seems a bit crude and in my opinion needs much refining. The album features a string quintet that not only plays a few intros and interludes, but is fully integrated into all of the songs. Together with a piano and clever arrangement, the melancholic songs work tremendously well, but there are some passages where the vocals and guitar riffs seem too heavy and don't fit too well into the concept. Bands like Pain of Salvation do a better job of blending everything together nicely and creating a balance. Also, the band plays metal double-bass rhythms too often, in situations where sparse drums and/or free time would be appropriate. If you like melancholic metal bands like My Dying Bride combined with authentic classical instruments and progressive elements, this might be something you should check out. At times, they even create a similiarly epic feel like Opeth do.